This is a pristine ca. 1969 ZENITH RESPIRATOR gold plated steel back 30x40mm. lug-to-lug amazing looking all original vintage watch. The original dial is perfect. The crown is signed. 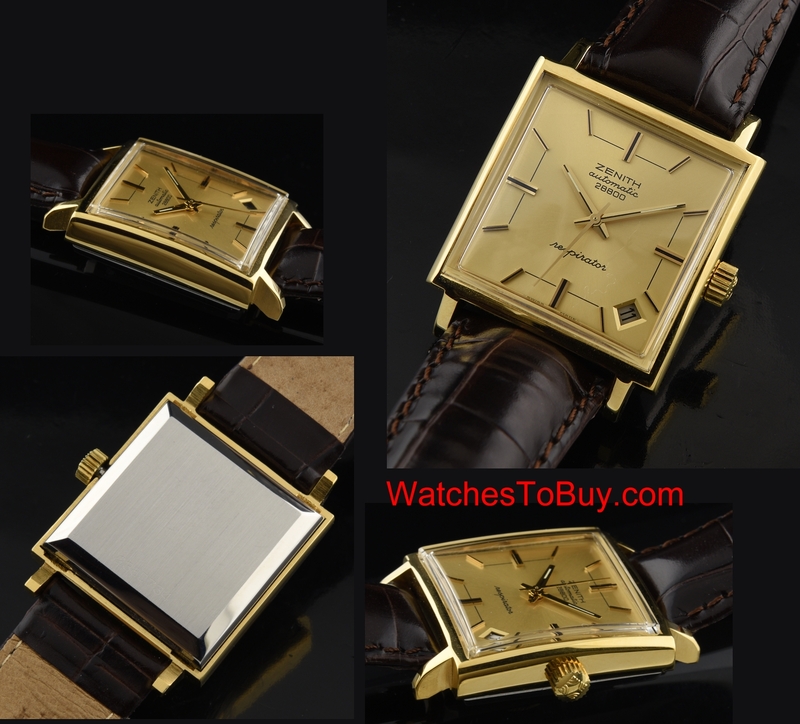 The very fine high beat caliber 2562 PC 23 jewel movement is automatic winding, recently cleaned and accurate. In my photos those are only shadows on the dial. 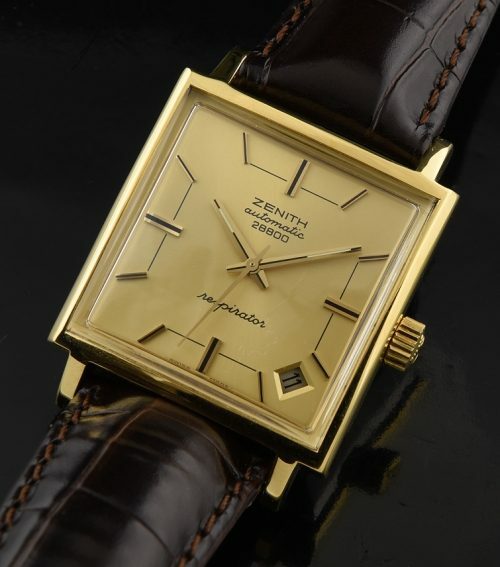 You will love the look of this fine ZENITH on the wrist.